Object: The aim is to analyze the results of the tympanoplasty (TP) for the chronic suppurative medial otitis and some factors which influence to the results of the TP. Materials and Methods: A total of 133 patients (148 ears) with chronic suppurative medial otitis (CSMO) undergone TP at our hospital for 10 years, were reviewed and the rates of the tympanic membrane perforation closure and the improvement of hearing loss by type of CSMO and operation, were retrospectively evaluated. Results: The success rates of the perforation and hearing loss were 29 ears (85.2%) and 22 ears (75.9%) in myringoplasty, 77 ears (82.8%) and 54 ears (70.1%) in TP, and 17 ears (80.9%) and 11 ears (64.7%) in TP with mastoidectomy. Conclusion: The rates of the tympanic membrane perforation closure and improvement of the hearing loss were 123 ears (83.1%) and 87 ears (70.7%). Some factors influence on the success of TP for CSMO, such as choosing the operation, eradication of focus, processing fascia, and management the effusion, should be considered. The chronic suppurative medial otitis is the incurable disease using the only drug so that many operations are being developed and introduced at the ear, nose, and throat field. The aim of this investigation is to analyze the clinical and audiological results of TP for the patients with CSMO at our hospital for 10 years and to discuss some factors for TP. The 133 patients (148 ears) with CSMO undergone TP at our hospital from May 2006 to December 2017 were reviewed. We analyzed the clinical and audiological results retrospectively by the type of CSMO and operation. The CSMO was classified into simple medial otitis (SMO), granulomatous type (GMO), and cholesteatomatous medial otitis (CMO) by of the preoperative findings of the middle ear cavity; inactive (dry ear for >3 months) and active (discharged ear) type in SMO by otorrhea; tympanic and mastoid type in GMO and CMO by site of focus. As the surgical operation, MP, TP, and TP with mastoidectomy (TPWM) were applied. The dry ears with the perforation <3 mm in diameter were treated by scratching the margin of the perforation and its results were included in MP results. If the destruction of incudostapedial joint was identified, ossiculoplasty was carried out using the autoossicle and tragus cartilage. After following 3 months to 6 months, the results of treatment were evaluated. The patients with 10 dB-50 dB of A-B gap before operation were selected to analyze the audiological data. Before and at 3 months after the operation, the hearing test was done and then audiological results by pure tone audiometry A-B gap were analyzed. The ears that had the reducing more than 10 dB than preoperative data were estimated of the ears with hearing improvements. In 133 patients with CSMO, 84 patients (63.1%) were male and 49 patients (36.9%) were female. With age, there were 18 patients (13.5%) at teenage, 22 patients (24.1%) at 20s, 58 patients (43.6%) at 30s, 21 patients (15.8%) at 40s, three patients (2.2%) at 50s, and one patient (0.8%) at 60s. The success rates for tympanic membrane perforation were 60 ears (84.5%) in SMO, 32 ears (82.1%) in GMO, 31 ears (81.6%) in CMO, and 123 ears (83.1%) [Table 1]. In 15 ears with perforation <3 mm in diameter, the success rate was 14 ears (93.3%). There were 12 ears with inflammation (48.0%) and 10 ears with massive effusion (40.0%) on the external ear canal in 25 ears with postoperative perforation [Figure 1]. Among them, most of the perforations were the central perforation in the ears with effusion and the marginal perforation in the ears with inflammation [Figure 2]. The mean duration for epithelialization on the external ear canal were 22 ± 5.2D in MP, 28 ± 4.7D in TP, and 45 ± 5.1D in TPWM. There were 21 ears (53.8%) with retract and adhesive tympanic membrane after operation in 39ears with poor ventilation of the Eustachian tube More Details. The hearing improvement rates were 22 ears (75.9%) in MP, 54 ears (70.1%) in TP, 11 ears (64.7%) in TPWM, and 87 ears (70.7%) in total [Table 2]. Postoperative A-B gap were 13.8 ± 5.0 dB in MP, 25.7 ± 6.1 dB in TP, and 30.1 ± 5.6 dB in TPWM. In every operation, postoperative results had significant differences than preoperative results [Table 3]. In 41 ears with bony hearing loss before the operation, there were 10 ears (24.3%) with improvements more than 5 dB. The success rates of SMO were 29 ears (85.2%) in dry ears and 31 ears (83.7%) discharged ears, so that had no significant difference between both types. Some researchers, recommended MP after 3–6 months of dry in tympanic cavity, because success rate was higher in dry ear than in discharged ear, but in the present study, there was no significant difference between the dry ears and discharged ears, so it may be more preferable rather to select the operation by the type of CSMO than to consider the time for operation. Furthermore, the success rate of the scratching method was 93.3% in the perforation with 3 mm in diameter, so that we think that the scratching method may be better than graft implantation in some cases. 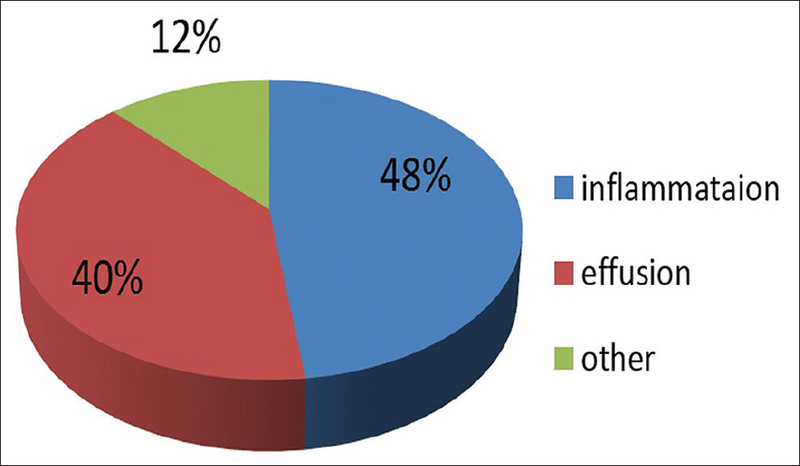 In 25 ears with postoperative reperforation, the perforations with massive effusion were 10 ears (40%) and perforations with inflammation on the external ear canal were 12 ears (48.9%). Many literatures,,, reported that the inflammation and poor ventilation of Eustachian tube were included in failure factors for TP; in our study, the rates of reperation were high in ears with inflammation and effusion on the external canal; the ears with inflammation had many marginal perforation and the ears with effusion many central perforation. Therefore, we suppose that reoperation with massive effusion may be prevented by these drugs and these results may support the literature, in which local desensitizer and decongestant are recommended to conservative therapy for CSMO. In addition, the central perforation may be related to process the graft thinly. The ears with A-B gap reduced more than 10 dB, were 22 ears (75.9%) in MP, 54 ears (70.1%), and 11 ears (64.7%) in TMWM; the rates of hearing improvements using autossicle and cartilage was 25 ears/27 ears (67.6%). Besides, we founds that some cases had the improvements of the bony threshold; this result may be related with the change in the solid angle of the oval window and the round window. The rates of the tympanic membrane perforation closure and improvement of the hearing loss were 123 ears (83.1%) and 87 ears (70.7%). Some factors influenced on the success of TP for CSMO, such as choosing the operation, eradication of the focus, processing the fascia, and management the effusion, should be considered. Balyan FR, Celikkanat S, Aslan A, Taibah A, Russo A, Sanna M, et al. Mastoidectomy in noncholesteatomatous chronic suppurative otitis media: Is it necessary? Otolaryngol Head Neck Surg 1997;117:592-5. 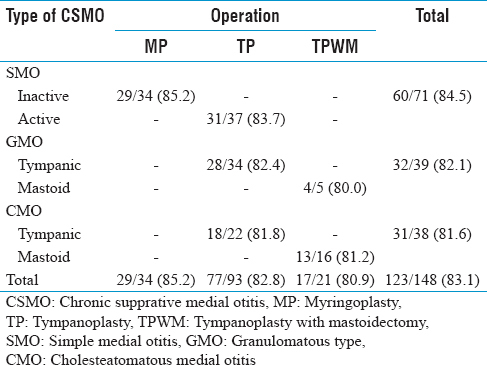 Nikolopoulos TP, Gerbesiotis P. Surgical management of cholesteatoma: The two main options and the third way – Atticotomy/limited mastoidectomy. Int J Pediatr Otorhinolaryngol 2009;73:1222-7. Uyar Y, Oztürk K, Keles B, Arbaǧ H, Ulkü CH. Anterior atticoantrostomy for cholesteatoma surgery. Ann Otol Rhinol Laryngol 2006;115:150-5. Grewal DS, Hathiram BT, Saraiya SV. Canal wall down tympanomastoidectomy: The 'on-disease' approach for retraction pockets and cholesteatoma. J Laryngol Otol 2007;121:832-9. Gantz BJ, Wilkinson EP, Hansen MR. Canal wall reconstruction tympanomastoidectomy with mastoid obliteration. Laryngoscope 2005;115:1734-40. Marchioni D, Soloperto D, Rubini A, Villari D, Genovese E, Artioli F, et al. Endoscopic exclusive transcanal approach to the tympanic cavity cholesteatoma in pediatric patients: Our experience. Int J Pediatr Otorhinolaryngol 2015;79:316-22. McGuire JK, Wasl H, Harris T, Copley GJ, Fagan JJ. Management of pediatric cholesteatoma based on presentations, complications, and outcomes. Int J Pediatr Otorhinolaryngol 2016;80:69-73. Hasaballah MS. Audiological and otological outcome in Bi-island chondroperichondrial graft type I tympanoplasty. Egypt J Ear Nose Throat Allied Sci 2014;15:183-8. Karaman E, Duman C, Isildak H, Enver O. Composite cartilage island grafts in type 1 tympanoplasty: Audiological and ontological outcomes. J Craniofac Surg 2010;21:37-9. Murphy TP. Hearing results in pediatric patients with chronic otitis media after ossicular reconstruction with partial ossicular replacement prostheses and total ossicular replacement prostheses. Laryngoscope 2000;110:536-44. Prasad KC, Hegde MC, Prasad SC, Meyappan H. Assessment of eustachian tube function in tympanoplasty. Otolaryngol Head Neck Surg 2009;140:889-93. Prasad V. A study of middle ear reconstruction, the degree of functional restoration and causes of graft failure following chronic ear disease. Egypt J Ear Nose Throat Allied Sci 2014;15:103-8. Eisenbeis JF, Herrmann BW. 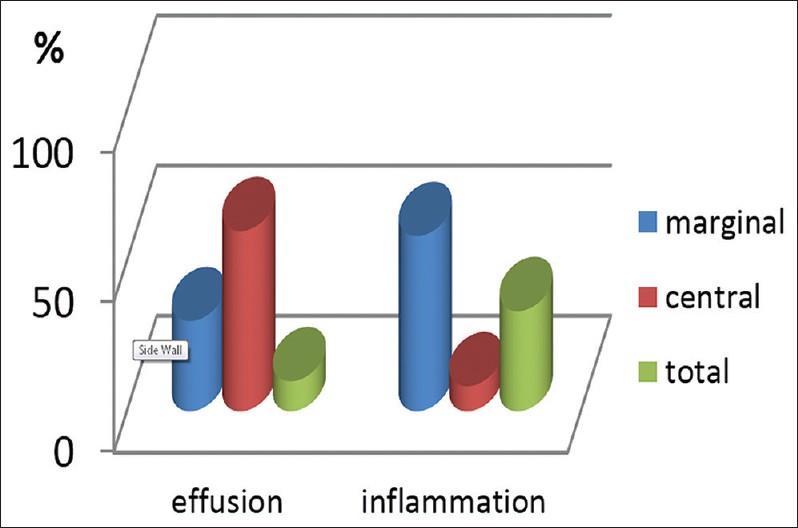 Areolar connective tissue grafts in pediatric tympanoplasty: A pilot study. Am J Otolaryngol 2004;25:79-83. Uyar Y, Keleş B, Koç S, Oztürk K, Arbaǧ H. Tympanoplasty in pediatric patients. Int J Pediatr Otorhinolaryngol 2006;70:1805-9. Pignataro L, Grillo Della Berta L, Capaccio P, Zaghis A. Myringoplasty in children: Anatomical and functional results. J Laryngol Otol 2001;115:369-73. Gamra OB, Nacef I, Abid W, Hariga I, Mbarek C. Myringoplasty in children: Our results. Egypt J Ear Nose Throat Allied Sci 2015;16:41-6. Yurttas V, Yakut F, Kutluhan A, Bozdemir K. Preparation and placement of Cartilage Island graft in tympanoplasty. Braz J Otorhinolaryngol 2014;80:522-6. Kazikdas KC, Onal K, Boyraz I, Karabulut E. Palisade cartilage tympanoplasty for management of subtotal perforations: A comparison with the temporalis fascia technique. Eur Arch Otorhinolaryngol 2007;264:985-9. Indorewala S. Dimensional stability of free fascia grafts: Clinical application. Laryngoscope 2005;115:278-82. Neto JA, Neiva FC, Brodskyn F, das Neves Palumbo M, Bittar AC, Petrilli RN, et al. Plug cartilage tympanoplasty in children. Braz J Otorhinolaryngol 2008;74:890-5. Rickers J, Petersen CG, Pedersen CB, Ovesen T. Long-term follow-up evaluation of mastoidectomy in children with non-cholesteatomatous chronic suppurative otitis media. Int J Pediatr Otorhinolaryngol 2006;70:711-5. Alper CM, Dohar JE, Gulhan M, Ozunlu A, Bagger-Sjobak D, Hebda PA, et al. Treatment of chronic suppurative otitis media with topical tobramycin and dexamethasone. Arch Otolaryngol Head Neck Surg 2000;126:165-73. Mandel EM, Casselbrant ML, Rockette HE, Fireman P, Kurs-Lasky M, Bluestone CD, et al. Systemic steroid for chronic otitis media with effusion in children. Pediatrics 2002;110:1071-80.